Japanese Prime Minister Shinzo Abe urged in a New York Times op-ed Sunday for the international community to ramp up pressure against North Korea, zeroing on the notion that more diplomacy and dialogue with Pyongyang would be a "dead end," as Pyongyang would see more talks as proof that other countries "succumbed" to the threat of its missile launches. 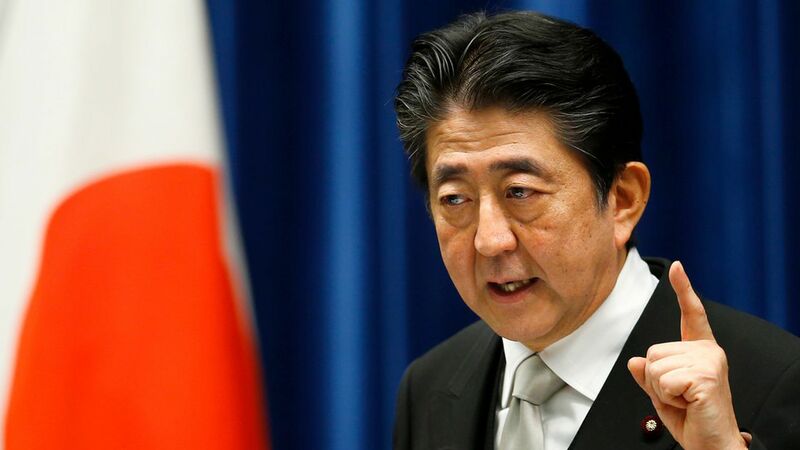 On the UN Security Council's new round of sanctions: Abe describes them as an "important step," but acknowledges that North Korean leadership has consistently ignored most of its commitments. On the potential use of military force: Abe said he "firmly support[s]" the U.S. position that "all options are on the table." His bottom line: "Now is the time to exert the utmost pressure on the North. There should be no more delays."